How can you get pets acclimated to new family members? Dr. Jeff Werber gives us his best tips on how to avoid jealousy in your pet when a new baby arrives. Watch his interview on KSNV News 3 Las Vegas! Alzheimer’s is coming out of the shadows in New Jersey, but many families struggling with it aren’t being guided to services that could help them cope. Those are the key findings from a statewide survey done by Fairleigh Dickinson University’s PublicMind for Alzheimer’s New Jersey. The survey found 89 percent of people concerned about memory loss went to see a doctor about the problem, and 87 percent received a formal diagnosis of Alzheimer’s or some other form of dementia. This Thanksgiving, The Salvation Army served breakfast to hundreds of guests at its annual event. This year, Eastwick College hosted the breakfast. Read about the event! It can be fun to encourage your pet to enjoy holidays with you, and it might be natural to wonder: can dogs eat chocolate or candy to share in the fun this Halloween? The short answer is “no.” While all sweets are potentially dangerous to dogs, some candies can cause major trouble and become a medical emergency if ingested. Read the six most toxic Halloween candies for your dog on PetCoach.co! NJ Sharing Network’s Helen LaCarrubba Shares Six Things You Should Know About Her! After Helen LaCarrubba graduated from Farleigh Dickinson University with a degree in medical technology, she saw a job posting at the NJ Sharing Network, a nonprofit organization dedicated to saving lives through organ and tissue donation, for someone with blood bank experience. The Wayne resident has worked there for the past 21 years. Today, she is a molecular specialist who uses the latest DNA testing technology to facilitate donor-recipient matches. Read the six things you should know about Helen on North Jersey.com! Congressman Chris Smith and hundreds of family members and supporters of Alzheimer’s patients were in Point Pleasant Beach for the 2018 Walk to Fight Alzheimer’s, hosted by Alzheimer’s New Jersey. The group’s president and CEO Kenneth Zaentz, Mayor Steve Reid and other leaders were also present to kick off the walk. Teams of walkers raised money for Alzheimer’s New Jersey’s services for local Alzheimer’s patients and their caregivers; 100 percent of the funds raised at the walk will support these services. Check out full coverage of the event here! Is pineapple safe for dogs? Read Dr. Jeff Werber latest article with Dogster to learn if we can feed the delicious snack to our furry friends! 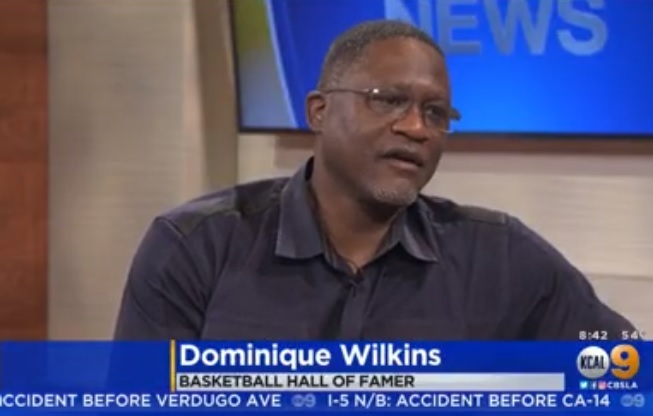 NBA Hall of Famer Dominique Wilkins sat down with CBS Los Angeles this weekend to discuss how he manages his diabetes with DarioHealth.